Small businesses can supercharge their social media marketing strategies by tapping into a new search engine that will give them instant access to billions of social media and online posts. Talkwalker recently announced the launch of Quick Search, the search engine focusing on social media with unlimited global searches available. With it, small businesses can analyze their target market by looking at information on their brand and competition without a big price tag and complicated marketing analytics tools. 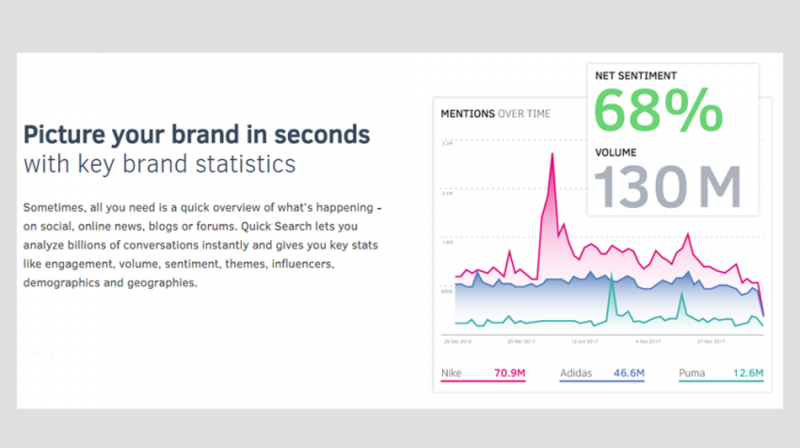 Marketers and small business owners alike can get new content ideas, find all important influencers, and get better ideas of their audience by spotting trends and getting new brand insights with this new tool. Unlimited searches go back 13 months. “Small businesses and start-ups need a leg up on the competition — to be able to analyze what is happening in the market related to their brand and their competitors,” said Todd Grossman, Talkwalker CEO for the Americas. Other features include blanket global coverage of blogs, news sites and forums. There’s also the ability to compare different brands and benchmark KPIs like engagement with 90 percent accuracy. Talkwalker is an analytics company that works with over 1,000 brands. Company headquarters are in Luxembourg with offices in New York City, Frankfurt and San Francisco. Get a free demonstration of Quick Search here.